Every December we give our time and talent to “We Care” Children’s Christmas Charity for the underprivileged . We prosthetically transform Kenny from Herman Miller into humble old St. Nick with the great help of award winning artist Bill Terezakis. His multi award winning company WCT Productions has graciously donated silicone prosthetic’ s this year that take hours to sculpt, mold and run for our Santa creation. You can see their film credits here. When we were first approached about this by Herman Miller we were thrilled to assist. The smiles on these children faces warms our hearts and knowing they have a chance to experience Santa is a blessing in itself. Several of these children are in protective custody and not able to go to a mall to see Santa as normal children do. You can see their sadness when they arrive, but once they had a chance to sit on Santa’s knee and make gifts for their family, they leave with the hugest smiles of joy and warmth in their hearts. Evey year it makes me cry to see these little ones in such hardship, but knowing we can give them a little spark of joy around the holiday’s, makes it all worth wild in the end. I want to extend my sincere appreciation to Bill and his dedicated team, Vicki for assisting me in the application, Kenny for all those volunteer hours without a single complaint and to Herman Miller for continually organizing this essential event. With children’s hearts filled with love… the world can only be a better place. Our Holiday Savings Gift to You….Give the gift of beauty for years to come! If you don’t know of our ongoing promotion…..
and receive your elite coupon with a savings of 20% off your first service at any time. $50 includes temporary lashes if you choose. Our Christmas special on until Dec 31, 2010. Book now and save on all our permanent cosmetic services……per session. Why wait when you can look your very best today! We wish you and your family the best holiday season’s joys and wonder into the New Year. We wanted to share with you a few of the holiday trends as well as some useful tips to get you through the winter season. The biggest impact this holiday season is the use of colour in shadows and lots of metallic. Colour is being used in multiples and with intensity, in conjunction to the extreme liner we saw last spring. LIPS …are still red, in all shades, dark, bright, muted … you name it…anything red goes! NAILS… are still muted but green is making the most impact. 1. Moisturize, moisturize, moisturize….. if you use a favorite regularly or not, now is the season to protect your skin. You can purchase ” barrier cream” from London Drugs in the baby section. This fast absorbing silicone cream soaks in fast and will protect against the cold, wind and dehydration the winter months bring while keeping your skin hydrated. You can wear it under your make up or alone and we promise your skin will thank you. 2. Use that lip balm…. if it has an SPF 30 even better! The sun still packs a punch when it does come out and if your on the ski hill it will work well on your cheeks and ears if you forgot that sun block. We recommend ours…. because we know it’s the best! 3. Waterproof mascara is a must…. The rain wont be going away any time soon and we need to keep your lashes from smearing down your face. I recommend L’Oreal Voluminous waterproof…. but use the proper remover to get it off. ie oil based. 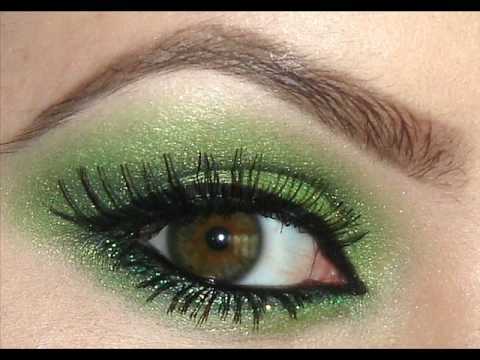 It will also work well as a base to your shadow or liner for a budge proof night out. 4. Get the red out….. Revlon Colourstay is a great silicone base foundation that will stand up to the elements, layer well and neutralize those red noses and cheeks. You can apply it with a brush, sponge or fingers and by building it up ( repeat application on tough spots) you can cover all those winter imperfections that like to rear their ugly heads. If you’re feeling the holiday cheers and want to help a needed cause…here’s a local charity that can certainly use a hand …...http://beautynight.org/ Beauty Nights. They are a small grass roots charity that work on site with needy women and children, providing cloths and hygiene. With the generous support of London Drugs http://www.londondrugs.com we were able to provide 1200 toothbrushes that were so desperately needed for the stocking drive. You can be apart of this fabulous night too with donations of… new make up, toiletries, socks or even a dollar! Every little bit counts and is always appreciated. Happy Holidays…..and a fabulous New Year! $50includes temporary lashes if you choose. We are looking for dynamic new addition to our boutique. If you feel you would like to learn make up on an new level, you may be the perfect fit for us? Candidates must be: hygienic, artistic-( preferably with a make-up back ground), well mannered and respectful, mature, eager to learn, able to take direction and criticism, have an eye for detail, a fast learner, patient, open minded, have basic administration skills and open to a flexible part time schedule of 10 hours a week to start. Your duties may include and not limited too: make up applications, data entry, creative thinking, cleaning, assisting with procedures and over all help with whatever may be needed. There is great room for growth and development with in our company and in our eyes the possibilities are endless. :: What our Clients have to say…. As you may know I love to communicate through videos, so please view my personal welcome to you. 4 Essential Tips for a more Youthful You! When it really comes down to it… it’s how they feel that matters the most! “I am a physician and therefore very aware of professional standards and infection risk from procedures such a micro pigmentation. I had lost a lot of my eyebrows/eyelashes due to a medication side effect and had received a recommendation to The BeautyInk Gallery. Not only was Shauna an outstanding artist, but also she adheres to the strictest professional standards; is caring; and constantly exploring the latest improvements within this field. She offers a wonderful service to many affected by health issues and the results are terrific. I was amazed and delighted, and highly recommend The BeautyInk Gallery to my patients. After spending over 17 years refining her detailed artistic techniques on Hollywood’s A-List Celebrities, award winning fx make up artist Shauna Magrath, with over 45 film and television credits to her name, has turned her attention to you. With her diverse background, unique skills and attention to detail, she custom creates the look you desire, raising your confidence and self-esteem. Since BeautyInk opened Shauna has had the fortunate opportunity to showcase her skills on local and national television, sharing with the audience procedures as well as her extensive make up expertise. “40 Under 40 Awards” and the influential “Women in Business Awards”, Shauna never stops growing her vision. These awards are given annually to BC’s outstanding entrepreneurs who demonstrate achievements in business, experience and innovation, vision, leadership, and community involvement. She feel very grateful for her current nomination with the “Entrepreneur of the Year Awards,” as it will only bring awareness to what BeautyInk can do for those in need and we look forward to seeing the upcoming results in October. The BeautyInk Gallery is a rich, inviting,tranquil boutique where women and men a like can be at their most relaxed and welcome while receiving expert make up services from proprietor and master makeup/micro-pigmentation artist, Shauna Magrath. In 2008 after the death of her grandfather Shauna was compelled to make a difference with her talent, and so the BeautyInk Gallery was born. A make up services boutique that offers: all make up applications, fx, lessons, lash extensions, tinting, and of course their specialty permanent cosmetics. Shauna expanded her skills and became certified in permanent cosmetics by Canada’s most prestigious institute, the Canadian Micro-Pigmentation Center in Toronto. She now combines her artistic expertise, acute attention to detail, and micro-pigmentation training to help anyone achieve their own empowering natural beauty. Working with accident and cancer survivors hold a special place in her heart after watching her Grandfather, Mother and Aunt fight for their lives. Thankfully her Mom is still with us today and has been able to watch the extraordinary growth of this divine venture. Useful makeup tips that will take years off of your appearance! A couple techniques to create great full glamorous lashes! At the BeautyInk Gallery they believe in and are committed to giving generously to the community through donations, volunteering and in-kind support. Without help from businesses like theirs, our community will not grow for the better! Please help, your generosity benefits everyone in their time of need. 1. Conceal the Eye Area: Use an orange base concealer under the eyes and in the corner and eye socket. This will eliminate the grey violet colour that comes with age and fatigue. In the deep areas add a light reflector such as Touch Eclate (shown on left) by Yves Saint Laurent. This will make the sunken areas look fuller and more youthful. 2. Even Skin Tone: As we age our skin gets sun damaged and patchy. You can use a powder mineral make up that’s easy to apply and has a build in SPF like Jane Iredale. Loose has more glow to it, the pressed in more matt. Two shades work the best, light down the lower half of the face and neck, a darker from the cheek upward for a sun kissed look. 3. Higher Brow Arch: As gravity takes it toll, creating a higher arch will give you eye the appearance of being more awake and bright eyed. A Dior Brow Pencil works well just above the natural arch and you can soften it with a brush. Christian Dior has beautiful colour range. 4. Darker Top Eyeliner: With the area under our eye showing the most age, why bring attention to it? By adding a more dominate top eyeliner hugged in the lash line it brings the attention upward not down. If you need – (which I don’t necessarily recommend) to put a bottom liner on, always keep it a few shades lighter than the top. ie Black on top or dark navy blue… with a light taupe on the bottom softened. I love the Make up Forever Brow Correctors as they come in great colours and can be used thick or thin. *Always remember Moisture is our best friend when it comes to our skin. So use one that hydrates well and you will find when your skin is moist if will always look years younger.